In order for you to keep your property as comfortable as possible, you must consider more than just your heating and cooling systems. Another major factor in this effort is your indoor air quality. Specifically, if you have poor relative humidity in your home, it may cause a number of problems. At Precision HVAC, our heating and air conditioning contractors can help you in this regard. 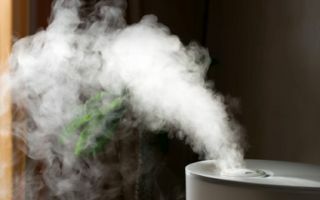 We specialize in installing and maintaining whole property humidifiers for both commercial and residential clients. Call Precision HVAC today if you need to hire a professionally licensed air conditioning and heating contractor to install a humidifier in your Saugerties home or business. Our courteous and polite staff would be happy to take your call, to answer any questions that you may have, and to schedule your appointment today. Our technicians will work their hardest to provide for your needs in the best possible manner. This is greatly problematic because many heating systems such as furnaces tend to dehumidify already dry winter air. Without a whole house humidifier, your family suffer from nosebleeds, dry skin, eye irritation, and other discomfort issues. Everyone knows that the more humid air is, the better able you are to feel its warmth. In the summer, this makes hot air even more intolerable. However, in the winter, relative humidity can be used to your advantage. If your furnace takes all of the water out of your air, then your heating system will need to work harder and raise air temperature more in order for your family to be comfortable. In contrast, by having a whole house humidifier, your property will be kept comfortable at a lower temperature. Therefore, you use less energy warming your property during the winter. With the help of our Saugerties experts, you will be able to maximize this benefit while enhancing the comfort and well being of you and your family. You are guaranteed to be completely satisfied with the results of our efforts. If you need to hire a professionally licensed heating and air conditioning contractor in Saugerties who installs humidifiers, call Precision HVAC today at 845-399-0669, or fill out our online request form.